A DFT+DMFT calculation for SrVO3. This tutorial aims at showing how to perform a DFT+DMFT calculation using Abinit. You will not learn here what is DFT+DMFT. But you will learn how to do a DFT+DMFT calculation and what are the main input variables controlling this type of calculation. It might be useful that you already know how to do PAW calculations using ABINIT but it is not mandatory (you can follow the two tutorials on PAW in ABINIT, PAW1 and PAW2. Also the DFT+U tutorial in ABINIT might be useful to know some basic variables common to DFT+U and DFT+DMFT. This tutorial should take one hour to complete (especially if you have access to several processors). 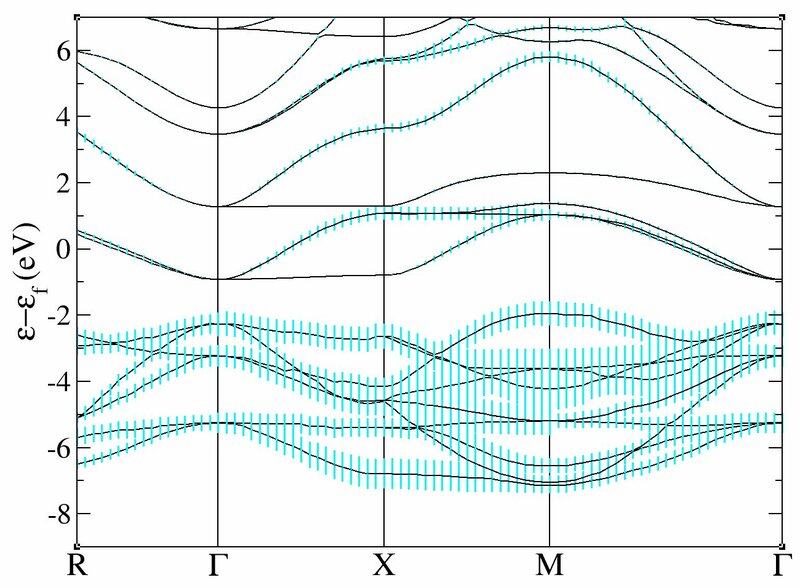 The DFT+DMFT method aims at improving the description of strongly correlated systems. Generally, these highly correlated materials contain rare-earth metals or transition metals, which have partially filled d or f bands and thus localized electrons. For further information on this method, please refer to [Georges1996] and [Kotliar2006]. For an introduction to Many Body Physics (Green’s function, Self-energy, imaginary time, and Matsubara frequencies), see e.g. [Coleman2015] and [Tremblay2017]. Several parameters (both physical and technical) needs to be discussed for a DFT+DMFT calculation. The definition of correlated orbitals. In the ABINIT DMFT implementation, it is done with the help of Projected Wannier orbitals (see [Amadon2008]). The first part of the tutorial explains the importance of this choice. 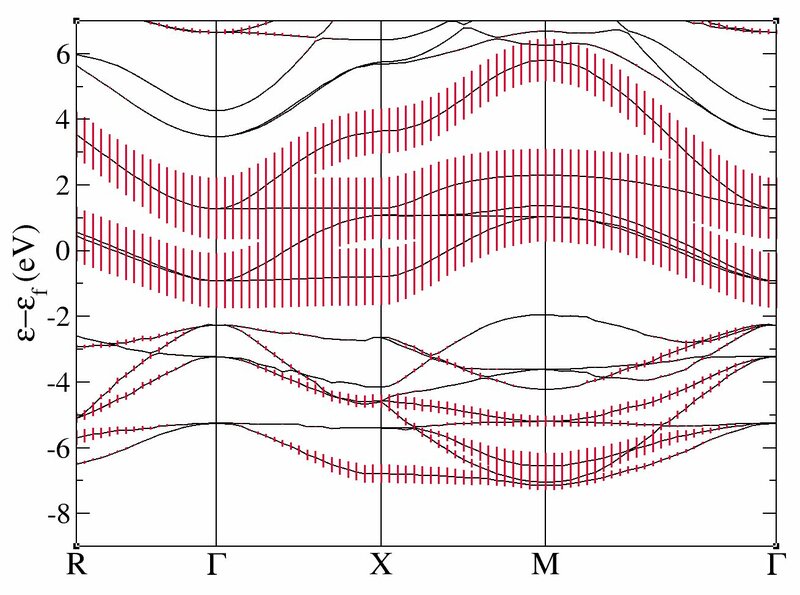 Wannier functions are unitarily related to a selected set of Kohn Sham (KS) wavefunctions, specified in ABINIT by band index dmftbandi, and dmftbandf. 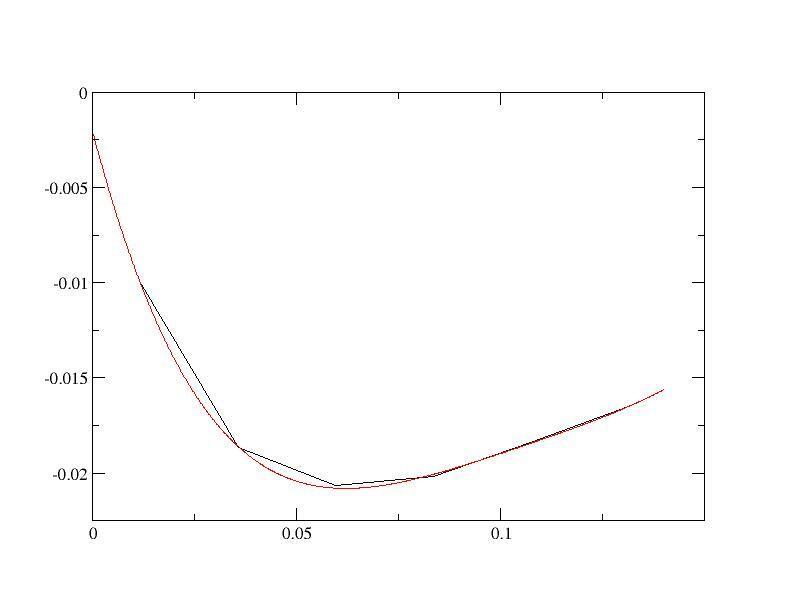 Thus, as empty bands are necessary to build Wannier functions, it is required in DMFT calculations that the KS Hamiltonian is correctly diagonalized: use high values for nnsclo, and nline for DMFT calculations and preceding DFT calculations. Roughly speaking, the larger dmftbandf-dmftbandi is, the more localized is the radial part of the orbital. Note that this definition is different from the definition of correlated orbitals in the DFT+U implementation in ABINIT (see [Amadon2008a]). The relation between the two expressions is briefly discussed in [Amadon2012]. The definition of the Coulomb and exchange interaction U and J are done as in DFT+U through the variables upawu and jpawu. They could be computed with the cRPA method, also available in ABINIT. The value of U and J should in principle depend on the definition of correlated orbitals. In this tutorial, U and J will be seen as parameters, as in the DFT+U approach. As in DFT+U, two double counting methods are available (see the dmft_dc input variable). Note that in version 7.10.5 (but not in later versions) jpawu = 0 is required if the density matrix in the correlated subspace is not diagonal. The choice of the double counting correction. The current default choice in ABINIT is (dmft_dc = 1) which corresponds to the full localized limit. The method of resolution of the Anderson model. In ABINIT, it can be the Hubbard I method (dmft_solv = 2) the Continuous time Quantum Monte Carlo (CTQMC) method (dmft_solv=5) or the static mean field method (dmft_solv = 1) equivalent to usual DFT+U. The solution of the Anderson Hamiltonian and the DMFT solution are strongly dependent over temperature. So the temperature tsmear is a very important physical parameter of the calculation. The practical solution of the DFT+DMFT scheme is usually presented as a double loop over first the local Green’s function, and second the electronic local density. (cf Fig. 1 in [Amadon2012]). The number of iterations of both loops are respectively given in ABINIT by keywords dmft_iter and nstep. Other useful variables are dmft_rslf = 1 and prtden = -1 (to be able to restart the calculation from the density file). Lastly, one linear and one logarithmic grid are used for Matsubara Frequencies indicated by dmft_nwli and dmft_nwlo (Typical values are 100000 and 100, but convergence should be studied). A large number of information are given in the log file using pawprtvol = 3. This run should take some time. It is recommended that you use at least 10 processors (and 32 should be fast). It calculates the LDA ground state of SrVO3 and compute the band structure in a second step. The variable pawfatbnd allows to create files with “fatbands” (see description of the variable in the list of variables): the width of the line along each k-point path and for each band is proportional to the contribution of a given atomic orbital on this particular Kohn Sham Wavefunction. A low cutoff and a small number of k-points are used in order to speed up the calculation. During this time you can take a look at the input file. There are two datasets. The first one is a ground state calculations with nnsclo=3 and nline=3 in order to have well diagonalized eigenfunctions even for empty states. In practice, you have however to check that the residue of wavefunctions is small at the end of the calculation. In this calculation, we find 1.E-06, which is large (1.E-10 would be better, so nnsclo and nline should be increased, but it would take more time). 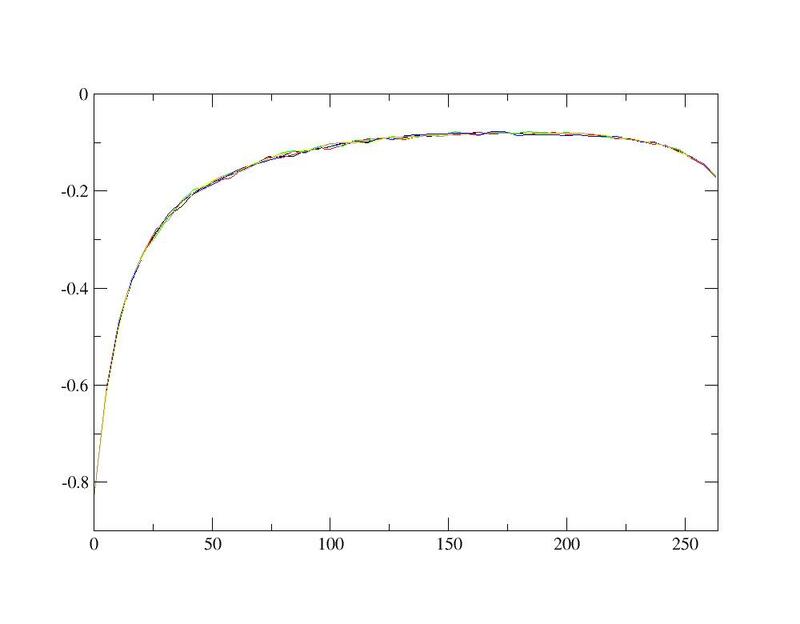 When the calculation is finished, you can plot the fatbands for Vanadium and l=2. Several possibilities are available for that purpose. We will work with the simple xmgrace package (you need to install it, if not already available on your machine). One can easily check that bands 21-23 are mainly d-t 2g and bands 24-25 are mainly eg: just use pawfatbnd = 2 in tdmft_1.in and relaunch the calculations. Then the file tdmft_1o_DS2_FATBANDS_at0001_V_is1_l2_m-2, tdmft_1o_DS2_FATBANDS_at0001_V_is1_l2_m-1 and tdmft_1o_DS2_FATBANDS_at0001_V_is1_l2_m1 give you respectively the xy, yz and xz fatbands (ie d-t 2g) and tdmft_1o_DS2_FATBANDS_at0001_V_is1_l2_m+0 and tdmft_1o_DS2_FATBANDS_at0001_V_is1_l2_m+2 give the z2 and x2-y2 fatbands (i.e. eg). So in conclusion of this study, the Kohn Sham bands which are mainly t2g are the bands 21,22 and 23. In the next section, we will thus use the t2g-like bands to built Wannier functions and do the DFT+DMFT calculation. In ABINIT, correlated orbitals are defined using the projected local orbitals Wannier functions as outlined above. The definition requires to define a given energy window from which projected Wannier functions are constructed. We would like in this tutorial, to apply the DMFT method on d orbitals and for simplicity on a subset of d orbitals, namely t2g orbitals ( eg orbitals play a minor role because they are empty). But we need to define t2g orbitals. For this, we will use Wannier functions. As we have seen in the orbitally resolved fatbands, the Kohn Sham wave function contains a important weight of t2g atomic orbitals mainly in t 2g-like bands but also in oxygen bands. So, we can use only the t2g-like bands to define Wannier functions or also both the t2g-like and O-p -like bands. The first case corresponds to the input file tdmft_2.in. In this case dmftbandi = 21 and dmftbandf = 23. As we only put the electron interaction on t2g orbitals, we have to use first lpawu = 2, but also the keyword dmft_t2g = 1 in order to restrict the application of interaction on t2g orbitals. Notice also that before launching a DMFT calculation, the LDA should be perfectly converged, including the empty states (check nline and nnsclo in the input file). The input file tdmft_2.in thus contains two datasets: the first one is a well converged LDA calculation, and the second is the DFT+DMFT calculation. Note that the number of imaginary frequencies dmft_nwlo has to be set to at least twice the value of dmftqmc_l (the discretization in imaginary time). Here, we choose a temperature of 1200 K. For lower temperature, the number of Matsubara frequencies should be higher. Here we use a fast calculation, with a small value of the parameters, especially dmft_nwlo, dmftqmc_l and dmftqmc_n. Let’s now discuss the value of the effective Coulomb interaction U (upawu) and J (jpawu). The values of U and J used in ABINIT in DMFT use the same convention as in DFT+U calculations in ABINIT (cf [Amadon2008a]). However, calculations in Ref. [Amadon2008] use for U and J the usual convention for _t 2g _ systems as found in [Lechermann2006], Eq. 26 (see also the appendix in [Fresard1997]). It corresponds to the Slater integral F4=0 and we can show that U_abinit=U-4/3 J and J_abinit=7/6 J. So in order to use U = 4 eV and J=0.65 eV with these latter conventions (as in [Amadon2008]), we have to use in ABINIT: upawu = 3.13333 eV; jpawu = 0.75833 eV and f4of2_sla = 0.
ecut      12 # low cutoff ! dmft_t2g 1   # special value for t2g only calculation. usepawu     1  #  For density matrix printout. dmatpuopt  1   # The density matrix: the simplest expression. We are now going to browse quickly the log file (log_2) for this calculation. Firstly, the number of Kohn Sham function used should be infinite (cf Eq. B.4 of [Amadon2012]), which is not the case here, because we take into account only bands 21-23. We emphasize that it is not a limitation of our approach, but just a physical choice concerning Wannier functions. This physical choice induces that these intermediate wave functions have a very low norm. Secondly, the atomic orbitals used to do the projection are cut at the PAW radius. As a consequence, even if we would use a complete set of KS wavefunctions and thus the closure relation, the norm could not be one. In our case, it could be at most 0.86852, which is the norm of the truncated atomic function of d orbitals of Vanadium used in this calculation. This number can be found in the log file by searching for ph0phiint (grep “ph0phiint(icount)= 1” log_2). (See also the discussion in Section B.3 of [Amadon2012]). Next the LDA Green’s function is computed. So the error is very small (1.10E-5). As an exercise, you can decrease the number of frequencies and see that the error becomes larger. We see that because of the orthonormalization of the orbitals necessary to built Wannier functions, the occupation matrix logically increases. The Interaction kernel is computed from U and J, and the self energy is read from the disk file (if it exists). Then, the Green’s function is computed with the self energy and the Fermi level is computed. Then the DMFT Loop starts. We can see that the total number of electron is very close to one and it does not change much as a function of iterations. As an output of the calculation, you can find the self energy in file tdmft_2o_DS2Self-omega_iatom0001_isppol1 and the Green’s function is file Gtau.dat. The slope at zero frequency obtained is 0.82. From this number, the quasiparticle renormalisation weight can be obtained using Z=1/(1+0.82)=0.55. You can now use the imaginary time Green’s function (contained in file Gtau.dat) to compute the spectral function in real frequency. Such analytical continuation can be done on quantum Monte Carlo data using the Maximum Entropy method. A maximum entropy code has been published recently by D. Bergeron. It can be downloaded here. Please cite the related paper [Bergeron2016] if you use this code in a publication. The code has a lot of options, and definitely, the method should be understood and the user guide should be read before any real use. It is not the goal of this DFT+DMFT tutorial to introduce to the Maximum Entropy Method (see [Bergeron2016] and references therein). We give here a very quick way to obtain a spectral function. First, you have to install this code and the armadillo library by following the guidelines, and then launch it on the current directory in order to generate the default input file OmegaMaxEnt_input_params.dat. Even if the calculation is not well converged, you recognize in the spectral functions the quasiparticle peak as well as Hubbard bands at -2 eV and +2.5 eV as in Fig.4 of [Amadon2008]. and use dmftbandi = 12 in tdmft_3.in. Now the code will built Wannier functions with a larger window, including O-p -like bands, and thus much more localized. Launch the calculation after having updated tdmft_x.files (if the calculation is too long, you can decide to restart the second dataset directly from a converged LDA calculation instead of redoing the LDA calculation for each new DMFT calculation). 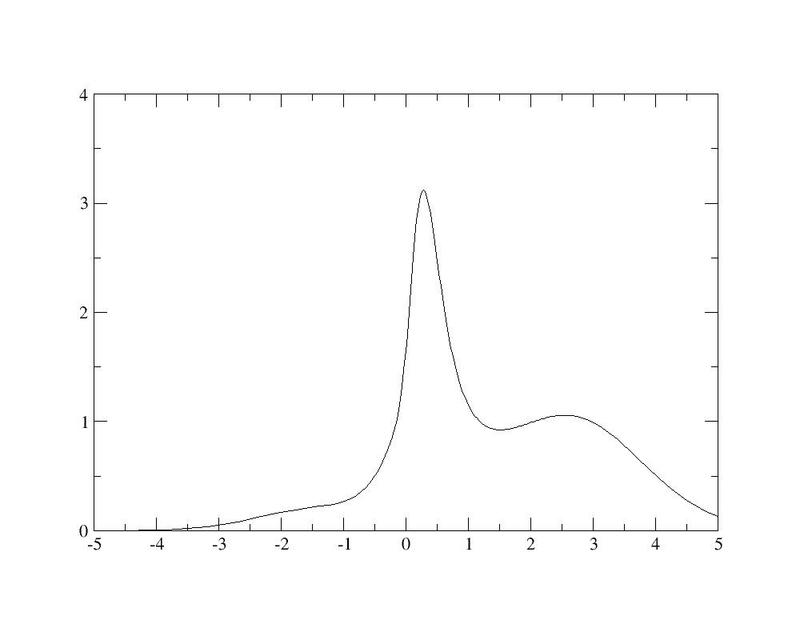 Similarly to the previous calculation, the spectral function can be plotted using the Maximum Entropy code: we find a spectral function with an hybridation peak at -5 eV, as described in Fig.5 of [Amadon2008]. Resolving the lower Hubbard bands would require a more converged calculation. 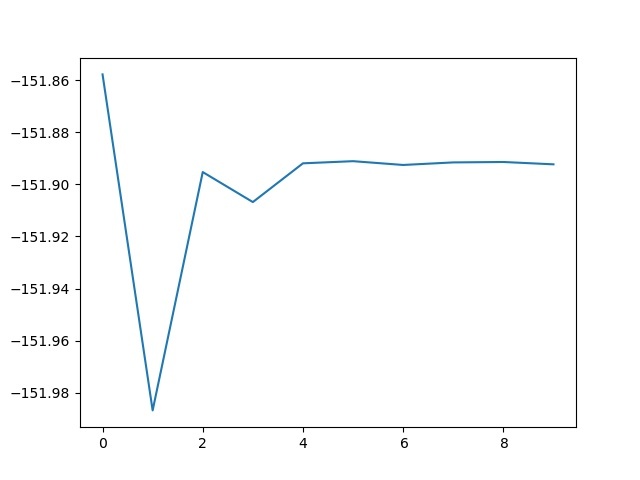 As above, one can compute the renormalization weight and it gives 0.68. 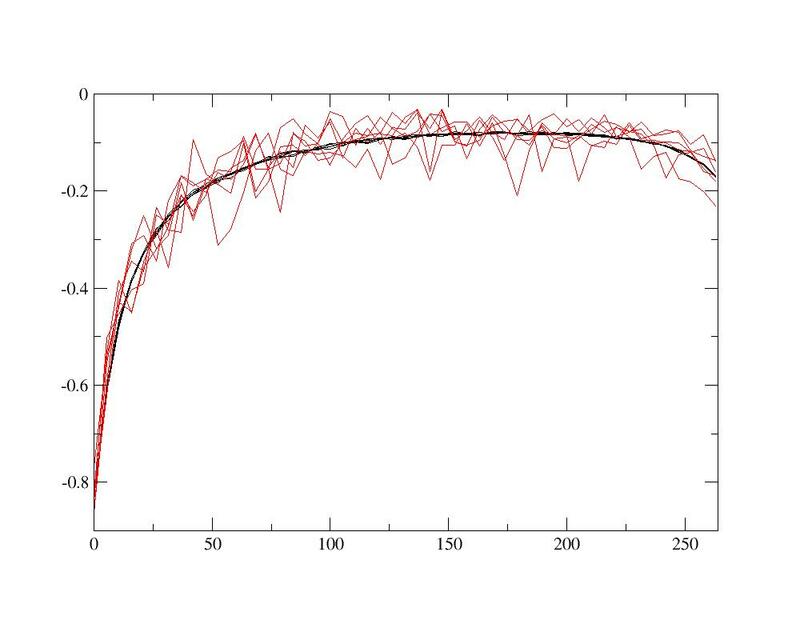 It shows that with the same value of U and J, interactions have a weaker effect for the large window Wannier functions. Indeed, the value of the screened interaction U should be larger because the Wannier functions are more localized (see discussion in [Amadon2008]). You can plot the evolution of the internal energy as a function of the iteration. You notice that the internal energy (in a DFT+DMFT calculations) does not converge as a function of iterations, because there is a finite statistical noise. So, as a function of iterations, first, the internal energy starts to converge, because the modification of the energy induced by the self- consistency cycle is larger than the statistical noise, but then the internal energy fluctuates around a mean value. So if the statistical noise is larger than the tolerance, the calculation will never converge. So if a given precision on the total energy is expected, a practical solution is to increase the number of Quantum Monte Carlo steps (dmftqmc_n) in order to lower the statistical noise. Also another solution is to do an average over the last values of the internal energy. Note that in version 7.10.5, only the Internal energy has a physical meaning in DFT+DMFT and not Etotal or ETOT. And use acell = 7.1605 instead of 7.2605. Relaunch the calculation and note the Internal energy (grep Internal tdmft_4.out). Redo another calculation with acell = 7.00. Then extract the LDA Internal energy and the DMFT Internal energy (grep Internal tdmft_5.out). 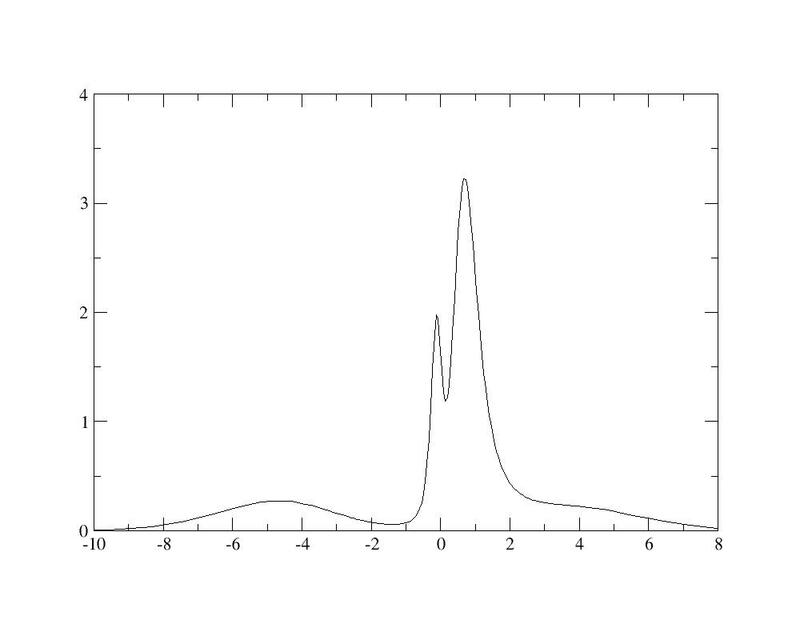 and then plot DMFT and LDA energies as a function of acell. You will notice that the equilibrium volume is very weakly modified by the strong correlations is this case. To sum up, the important physical parameters for DFT+DMFT are the definition of correlated orbitals, the choice of U and J (and double counting). The important technical parameters are the frequency and time grids as well as the number of steps for Monte Carlo, the DMFT loop and the DFT loop. We showed in this tutorial how to compute spectral functions, quasiparticle renormalization weights and total internal energy.